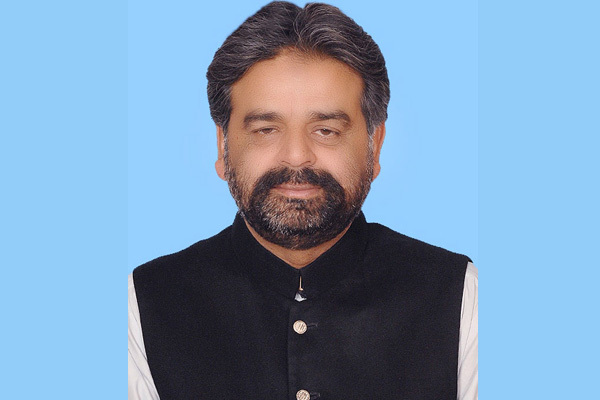 ISLAMABAD, Oct 31 (APP): Federal Minister for National Food Security and Research, Sikandar Hayat Khan Bosan Monday categorically rejected to allow duty free imports of cotton until the local production of the crop is not completely sold out. “We will not allow duty-free import of cotton before final figures of local production are not compiled and local crop is not completely sold,” he said while addressing a press conference to respond to the advertized demands by All Pakistan Textile Mills Association (APTMA) for duty free imports of the crop. The minister clarified that he was not against importing cotton as it was the right of cotton millers, however added that duty free import would not be allowed, aiming to protect the interest of local producers and farmers. He was optimistic that there are better cotton production prospects this year despite the fact that the cultivation areas of the crop has reduced by 21 percent. He said that the cotton farmers had to face huge losses last year due to decrease in prices of the crop in the international market. He said that this year, the prices in international market are also better compared to the previous year and it is expected that the farmers would get around Rs3000 plus per maund. He said that the advertisement floated by the APTMA have had negative impact on the cotton prices as it decline by at least Rs 100 per maund. He said that there was no ban on import of cotton and millers can import according to their demands, however the duty on these imports would not be eliminated. “We do not disagree with the stance of APTMA, however the import duty would remain intact till the consumption of local crop,” he added. To a question, the minister said that there has been remarkable progress in the research of several agriculture fields. He said that the Plant Breeders Right Bill would promote seed production at private sector level and help develop the agriculture on competitive and modern lines. To a question about the vast opportunities provided to agriculture sector by the development of China Pakistan Economic Corridor (CPEC), he said that this agriculture and livestock have better opportunities in this projects. He said that all the provinces have been taken onboard on the CPEC projects adding that the projects has vast potential to promote overall economy of the country.